GRAND GALA VARIETY CONCERT- Opening of the Gisborne Opera House. Of Rongowhaakata descent it was an honour to be star billed for this prestigious sold out event. Fellow artists Mere Boynton, my cousin Camille Te Nahu,her husband Stu French and son Sonny, Gretchen Dunsmore, Sweet Life Quartet, Alana Sargent and Waihirere Kapa Haka thrilled the packed auditorium. The renovated building is awesome, great acoustics, looks very plush and even back stage where the performers hang out is plush. I had the good fortune to be hosted by Shona Egan one of the Opera House trustees. Her whare was so beautiful and warm I didn’t want to leave. Everyone involved in this project have done an amazing job and from a performers perspective all the technicals went smoothly, big thanks to Jane Egan and Tim. 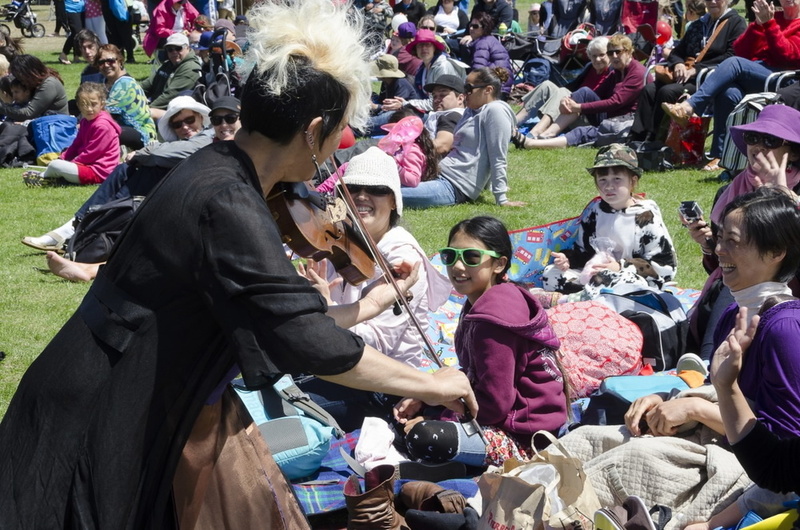 This was no mean feat as this concert was the first time all the equipment, stage theatrics etc were used- it all went without a hitch….. GREAT JOB GISBORNE!! JUNE: SCHOOLS VISIT- A wonderful visit to Cullinane College Wanganui- I was greeted with a formal powhiri very ably performed by the students giving me a chance to mihimihi them. I spent a fulfilling day visiting the Music Department whose tutor Marco Perry was so enthusiastic about the students work. It was exciting to work alongside these students and to pass on the all important love and joy of what it is we are doing. It was heartwarming for me to see the work that Te Ngakau O Te Awa (kapa haka) had done on the item we presented together. It was a challenge for them to work in such a contemporary way as individuals, as well as a group, they achieved this with great success, testimony to their skills and their tutor Kamaka Manuel. Cullinane is an amazing nurturing community. I was aware that students were happy, had pride in themselves and their work and the teachers loved their students - a recipe for success, all held together by Principal Kevin Shore and his team. It was an honour for me to be at their kura and experience the wonderful skills and joy these young people have to offer the world. I am very grateful for the manaakitanga extended to me while I was there, especially the support from Aunty Carol the kura’s kaumatua mentor. MAY: HITECH AWARDS TSB ARENA- An exceptional opportunity to work for Lauren Taylor Events at this high end event. Along with a superb creative team of Flying Pictures and Multi Media and working as a duo with Charles Davenport cello we stunned the audience with a magnificent music, lazer show. ORCHESTRA WELLINGTON CONCERT - TCHAIKOVSKY 1 & RACHMANINOV piano concerto with Michael Houston as soloist was a stunning first subscription concert for ORCHESTRA WELLINGTON, for the year. It was well attended and received excellent reviews. ORCHESTRA WELLINGTON enjoyed a successful season of La Cerentola Opera and for all of us it was such a pleasure to work with the Maestro Wynn Davies again. APRIL: WEDDING Annette and Johns wedding afforded a great opportunity for Simply Fantastic Trio to play together after a break of 3 years. It didn’t take long to dust off the repertoire plus learn a lot of new Latin tunes at the request of the Bride &Groom. John & Annette told me that they remembered me from playing years ago at a wedding in Martinborough. They had decided if they ever got married I would play at their wedding - well 13 years later they did and I did!! My lovely friend Verna Curry (http://www.standinginthelightcelebrations.co.nz/) was the celebrant and MC. MARCH: GALA DINNER with Tumeke kapa haka, Mico Plumbing gala dinner in Tauranga for their suppliers was a highlight. Many were stunned by our brand of contemporary Maori/European performance. It was great to work with the Dynamics team (AV production company) again and Adrienne from kept everything running smoothly. Staying at the gorgeous Trinity Wharf Hotel on the Tauranga Harbour reminded me of how blessed I AM. I also visited IRONGATE SCHOOL for a performance while I was in the Bay. It was very moving for me to be supported by my cousins Carleen Te Nahu and Laurie Te Nahu for the powhiri. Our kaikaranga was Whaea Te Rito. The te reo and tikanga exhibited by some of the senior students was very impressive. The teachers are doing excellent work here. Although my time at Irongate was short the students participated with enthusiasm and applauded with great gusto. I felt my message to live your dream and that music is a viable career choice was understood by the students. A very Exciting time in Napier for Festival Opera production ELIXER OF LOVE - I was delighted to be invited to be part of this opera season. With and excellent line up of soloists the season was a hit. It was a delight to work with conductor / MD Jose Aparicio and to learn of the work that he and his wife Anna Pierard are doing with training the young voices in the Bay with their project Prima Volta. I had the great fortune to stay with my lovely friend Kerry Kitone whom I met when she organised me to play at a Amnesty International Concert in 2005. We have been great friends since then.